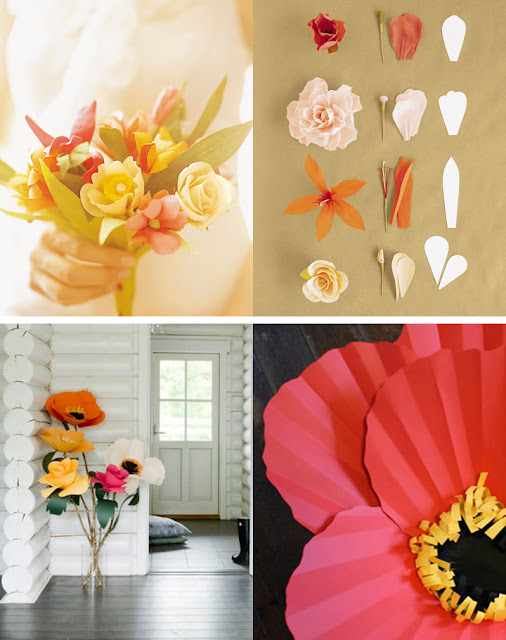 If there's one paper craft that took over us romantics last year, it was handmade paper flowers. They popped up in fields all over the blogsphere, it was lovely. I personally didn't attempt to make any of these beautiful flowers, as I am much too lazy. I bought mine instead. But here are two tutorial links for you folks looking to give a valentine bouquet that will last. I know I'd love one. Very true! They'll never die, which is why I love them.